Las Vegas’ foray into autonomous travel received a financial boost Tuesday from the U.S. government. The U.S. Department of Transportation’s Better Utilizing Investments to Leverage Development (BUILD) Transportation Grants program awarded $5.3 million to an autonomous vehicle project planned by the City of Las Vegas and Regional Transportation Commission of Southern Nevada in the Las Vegas Medical District. U.S. Transportation Secretary Elaine Chao announced $1.5 billion in discretionary grant funding to 91 projects in 49 states and the District of Columbia, with the winning projects being chosen out of a pool of 851 applicants. “BUILD transportation grants are major investments in road, rail, transit, and port projects that serve as a down payment on this administration’s commitment to America’s infrastructure,” Chao said in a statement. 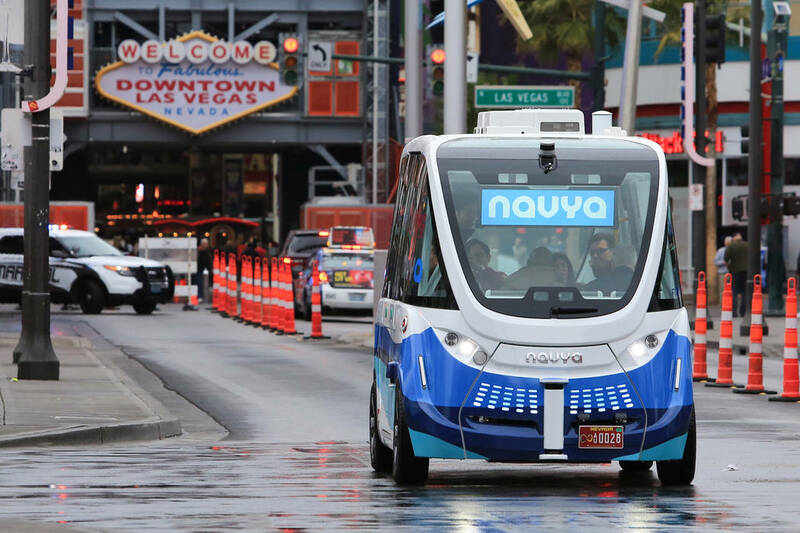 RTC’s and the city’s project, titled GoMed and slated to begin in late 2019, will provide autonomous and connected vehicle service around a 4-mile route between the Las Vegas Medical District and the Bonneville Transit Center downtown. It will feature four self-driving shuttles, pedestrian safety devices and smart transit shelters. The 23 smart transit shelters will feature Wi-Fi, information on shuttle arrival times and occupancy and dynamic wayfinding kiosks. “This forward-thinking grant will further our collaborative efforts to support and develop innovative technologies that enhance safety, mobility and the quality of life for our residents,” Tina Quigley, RTC general manager, said in a statement. The area to be served by the project features 684 acres of medical facilities that serve almost 200,000 patients annually and is projected to employ 6,000 people by 2020, the RTC said. The area features four hospitals and the UNLV School of Medicine campus. Additional improvements include pedestrian detection software at intersections, GOVegas app improvements that will extend green light time for pedestrians and Wi-Fi improvements throughout the project area. The improvements are particularly helpful for the elderly and people with disabilities, through the deployment, operation, and analysis of pedestrian safety technologies that connect traffic signals, drivers, passengers, and pedestrians. Those technologies will provide useful information including alerts about activity at signalized and non-signalized crossings through dashboard analytics, smartphone technology, and/or hardware at the intersection. The project represents the second autonomous shuttle program the city and RTC have partnered in within the last year. The RTC and city partnered with Keolis North America and AAA to operate an autonomous shuttle on a 1-mile loop in downtown from November 2017 to November 2018. The shuttle transported more than 32,000 individuals on nearly 5,000 trips.